There is marketing magic in harnessing the power of a negative mindset. It was just such a mindset that Unilever (owner of the Dove brand) found when they conducted an enormous survey of 3,000 women in 10 countries and discovered that only 4% of those surveyed considered themselves beautiful. 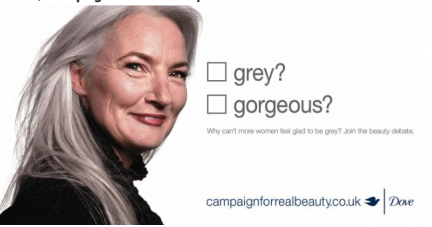 Those survey results became the basis for one of the most successful advertising campaigns in history and changed the social construct of what is considered beautiful. The ads were a touch of brilliance. And women who are not Heidi Klum gorgeous or pouty-mouthed, supermodel thin. No. In the ads, they lionized the work-a-day woman or mom with curves and a positive, fun-loving sense of self. 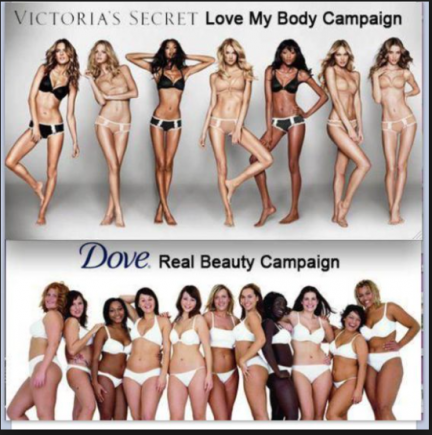 The positioning of Dove with women of “Real Beauty” included an eye-popping commercial that exposed the superficiality of newsstand glamour in a most powerful way. This and dozens of other commercials validating the beauty of everyday women plus a virally supercharged social media explosion resulted in a dramatic increase in Dove’s sales. “Dove’s page on Unilever’s Web site says…. In the first six months of the campaign, sales of Dove’s firming products increased 700 percent in Europe and in the United States, sales for the products in the advertisements increased 600 percent in the first two months of the campaign. In 2004, the first year of the campaign, global sales surpassed $1 billion, exceeding company expectations. Dove’s public relations company built in news coverage for Asia with the Dove “models” appearing in 618 different newspaper clippings with a circulation of 139 million. By the end of 2005, sales in the Asian-Pacific market increased from 19 percent to 26 percent. All based on a survey of their targeted public. Is there a marketing opportunity that we might find for you with a creatively constructed survey? “My business is expanding continuously since the surveys have been done and implemented…the new customers just seem to keep coming day after day. Our business has gone into a higher and much more viable range and at this time is still climbing. ” RQ Owner. With technology has come a decrease in the cost of surveys. If you would like to get an idea what On Target can do for you, at what cost, give us a call (818-397-1401) or fire off an email to Bruce@ontargetresearch.com. I’d like to help you make 2017 a boom year for your company.